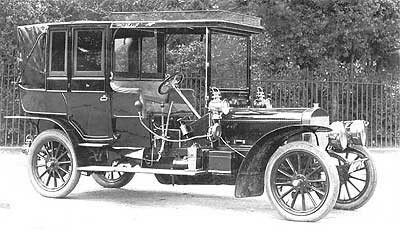 Although Chiswick had been the location of ship-builders Thornycroft since the 1860s, its Steam Wagon Company was established at Basingstoke in 1898 and it was here that it began making motorcars in 1903, the year after the firm's founder John Thornycroft had received a Knighthood. The cars were entirely conventional two and four-cylinder 10 and 20hp models with pressed-steel chassis and shaft drive. It was reported that all but the tyres and electrical equipment was made in the Basingstoke factory, and in this case this looks to be a plausible statement. The firm competed in the four Tourist Trophy races from 1905 to 1908 but it was only in the latter event that Tom Thornycroft secured a result of note, finishing in 5th place. Car production was phased out to concentrate on the manufacture of commercial vehicles, and this Thornycroft continued to do until the 1970s.